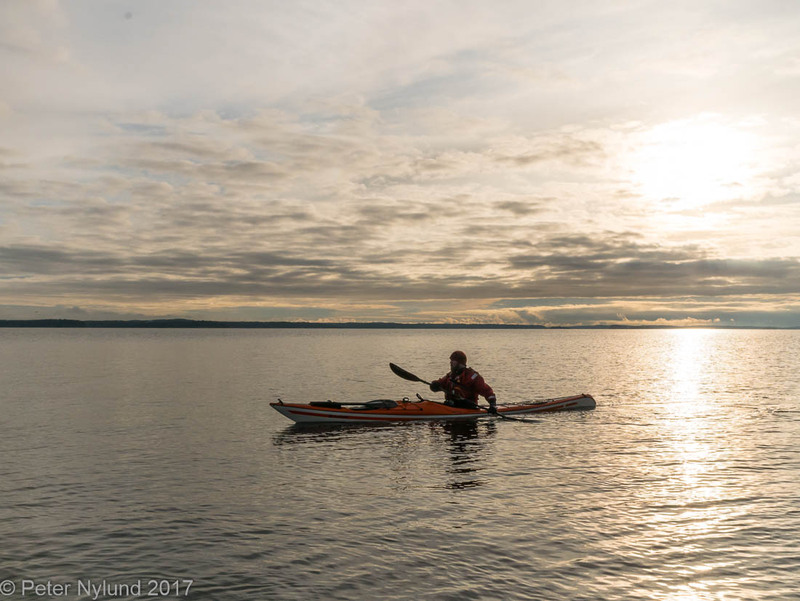 Starting with a short recap, finding a good kayak has been a bit of a challenge for me. I want a British style kayak that is fast enough, fun to play with and that takes enough gear for week long trips without having to leave out good food while still being as small as possible. That doesn't sound too bad, but being 192 cm tall with fairly long legs actually sets a lot of constraints. My weight of about 100 kg doesn't cause much. 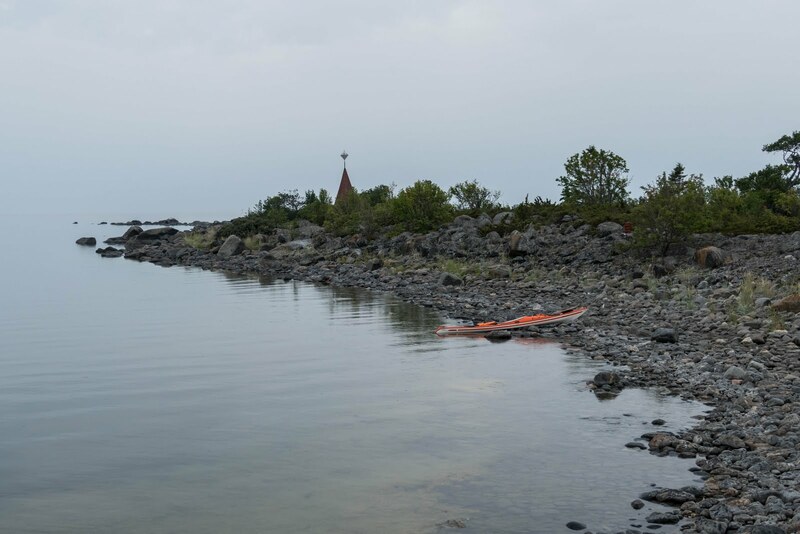 And also, I want to be able to sit down first and pull my legs in later e.g in rodeo rescues or just get in and out of the kayak easily in ordinary tour paddling, since I do live on the outskirt of the worlds largest archipelago, if you count the number of islands. In that sense paddling in Finland is a lot different than British paddling, since we do have an in practice almost unlimited islands to visit. Anyway, I went through a few kayaks: The Aquarius Sea Lion was very good, but a tad too small. The Zegul Arrow Play HV was excellent, but the quality a catastrophe. The Seabird Scott MV HDPE is a good kayak that I still use and the Venture Capella 173 was actually too big for me. Then I tested a Skim Beaufort. It was nice, but the cockpit opening too short. 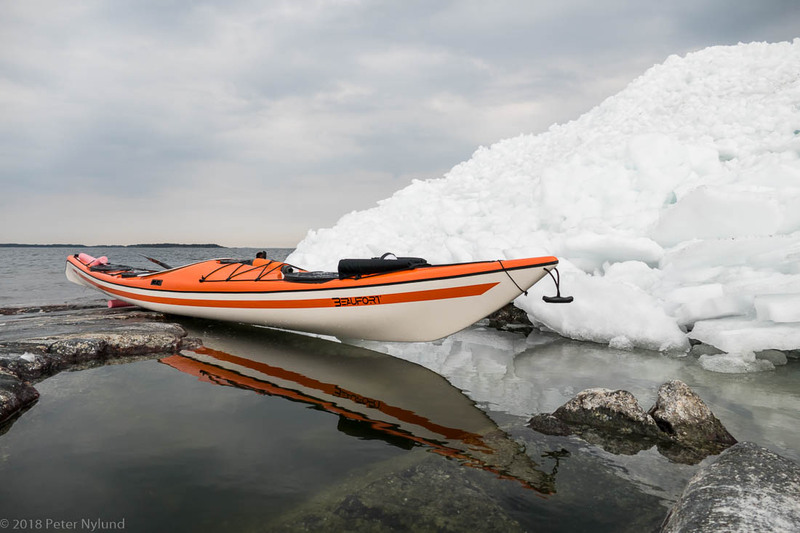 This is however a kayak that is made by hand here in Finland, and it was possible to get some customizations done. The cockpit opening was extended by 3 cm just behind the knee brace wings, putting them in a good position for me and making the cockpit opening long enough for me. And thus a kayak, in the strongest material, was ordered. Additional customizations were moving the front bulkhead 2 cm forwards, getting the foot pegs in the correct position and moving the cockpit rear bulkhead back 2 cm to get space for a paddle float there. I've now had it for a year and used it in a variety of conditions. My main interest is tour paddling, and I do think the kayak is very suitable for that. 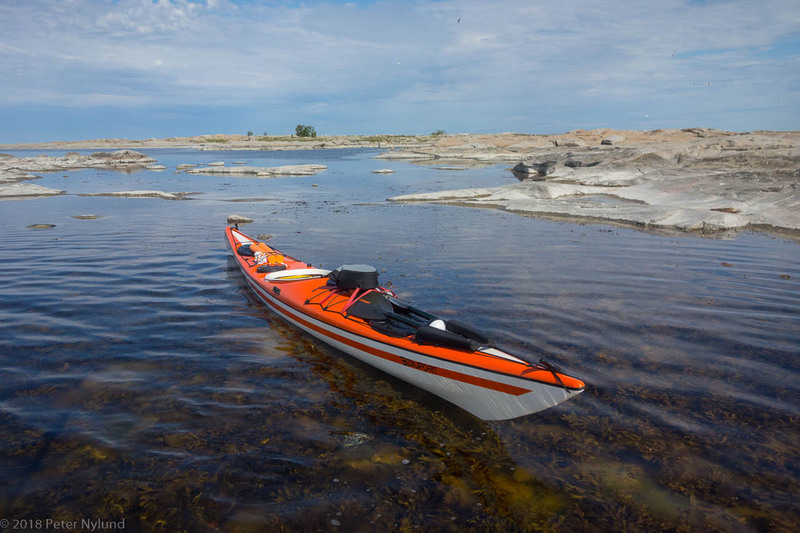 Sure, there are bigger kayaks taking more cargo, but in my opinion a kayak should not be too big, since that only causes trouble in harder weather. For the same reason I think that a kayak should lean more to being manoeuverable rather than tracking absolutely straight, and in my opinion the Beaufort strikes a good balance in this aspect. It turns quite easily, but is now play kayak, and it does track fairly well and allows a good touring speed. I've had it out in waves of up to two meters and wind up to 20 m/s (force 8 in the Beaufort wind scale) and I can conclude that it is seaworthy and behaves well in conditions that are well beyond what is reasonable to paddle in. 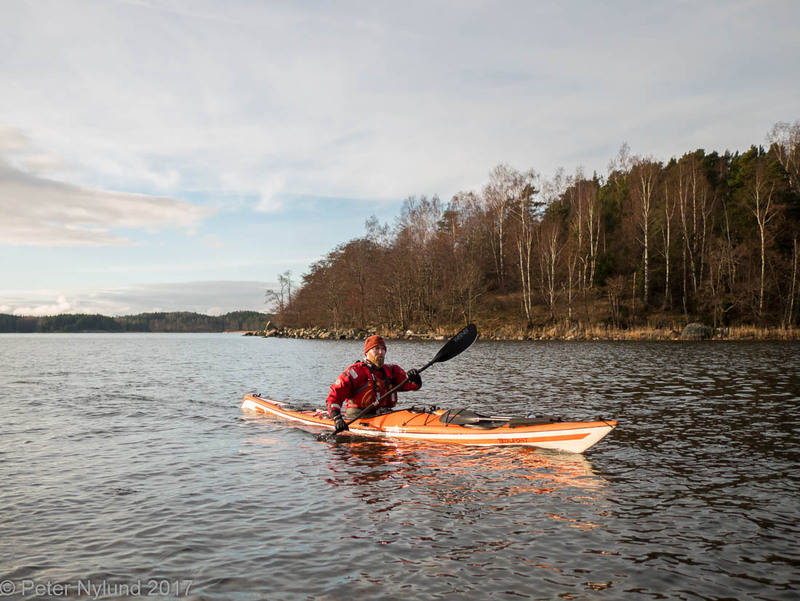 The kayak is small enough (513 cm long and 53 cm wide) that I'm able to handle it in very hard conditions. Empty the primary stability is a bit lively even for me at 100 kg, and I do think that might be too big for someone lighter than maybe 85 kg, unless it is laden. (The Beaufort LV version might be a better choice for lighter kayakers). Loaded down with gear, the primary stability increases. The secondary stability is rock solid. Despite the kayak being fairly small, it does have plenty of room for gear. I've had it out for a five day trip and had space for a good deal of extra gear. A week should be no problem, after that gear would need to be chosen more carefully. It does have big oval hatches both front and rear, which means it is to pack bigger items. 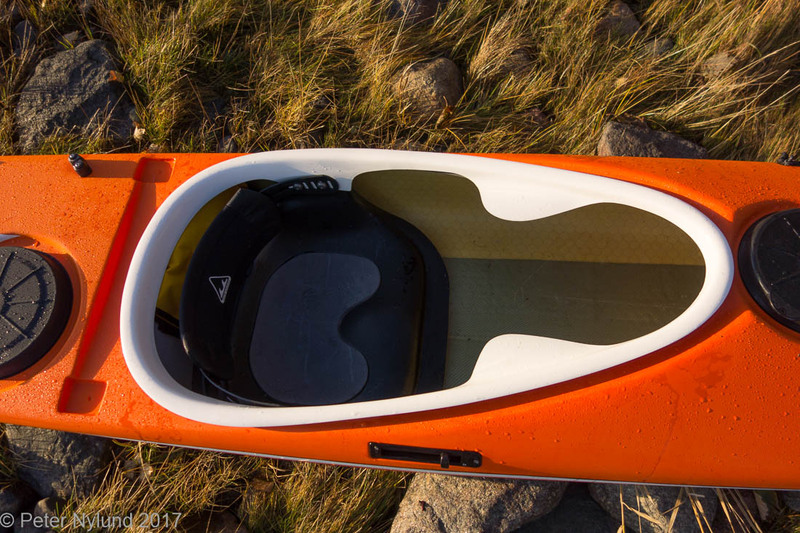 The hatches are the Kayaksport hard ones, which work very well. I've noticed one single fault: The padding for the knee braces came loose in August. Obviously the glue couldn't take water. I've since paddled without the padding, and have had no problem, but I'll probably glue it back next summer. Rolling: I think the Beaufort is easy to roll, but it is no Greenland kayak, so the rolls that would need you to lie flat on the back deck won't work. All in all, the impression has not changed since the previous reviews. The Skim Beaufort is an excellent kayak and definitely a keeper.